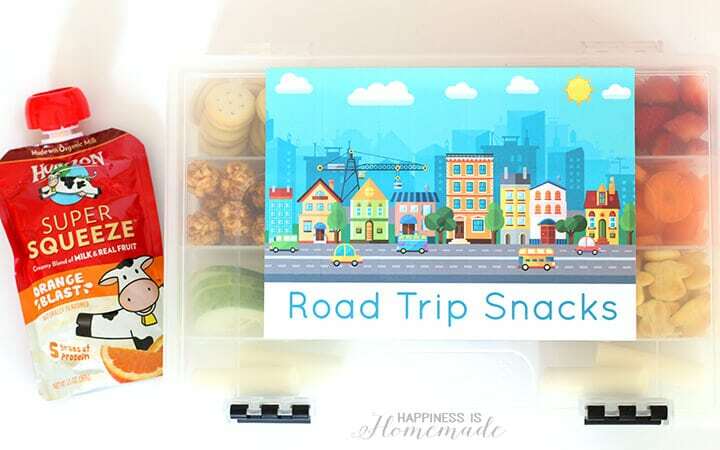 This on-the-go portable snack kit is perfect for road trips and family travel! Summertime and travel go hand-in-hand, and taking a family road trip is a popular way to travel. 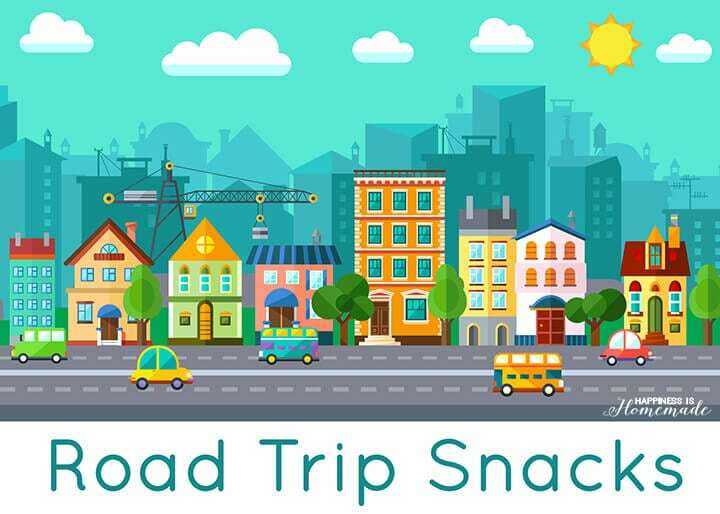 Our family is heading out on a 10-hour+ road trip soon, and I want to make sure that my kiddos don’t view the trip as an opportunity to gorge on junk food. 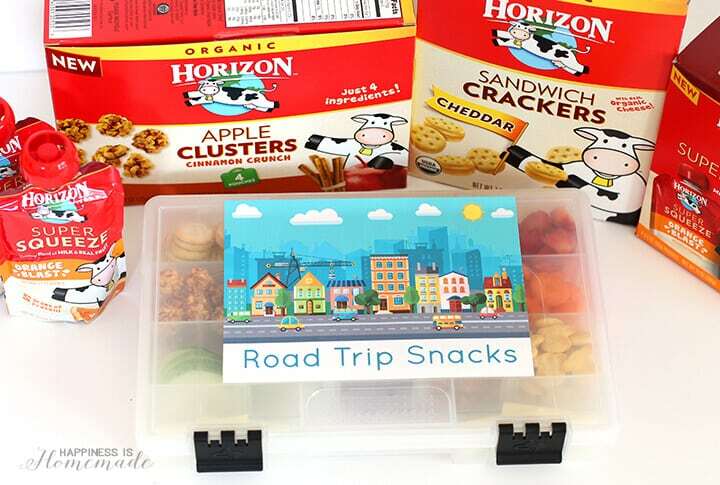 I decided to make on-the-go snack kits filled with healthier alternatives, so I bought divided plastic containers (with latching lids), fresh fruit and veggies, and my boys’ favorite snacks from Horizon Organic. 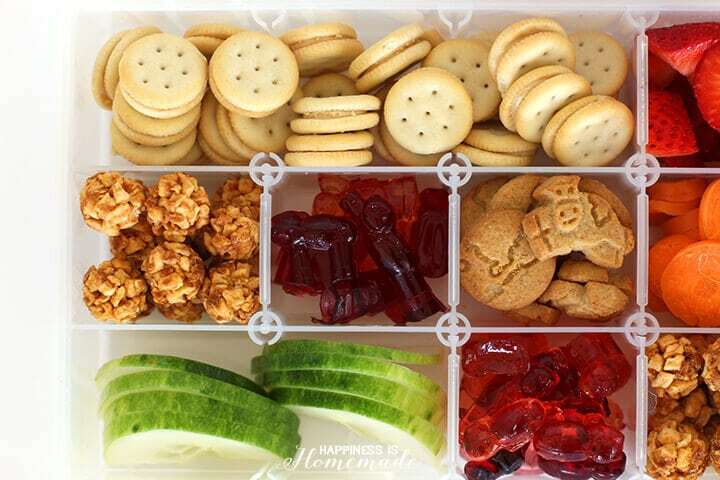 I filled the containers with kid-friendly snacks that will fuel the boys up for the trip, but won’t leave them bouncing off the walls or crashing from loads of sugar. Everything is bite sized, so there’s no need for silverware! 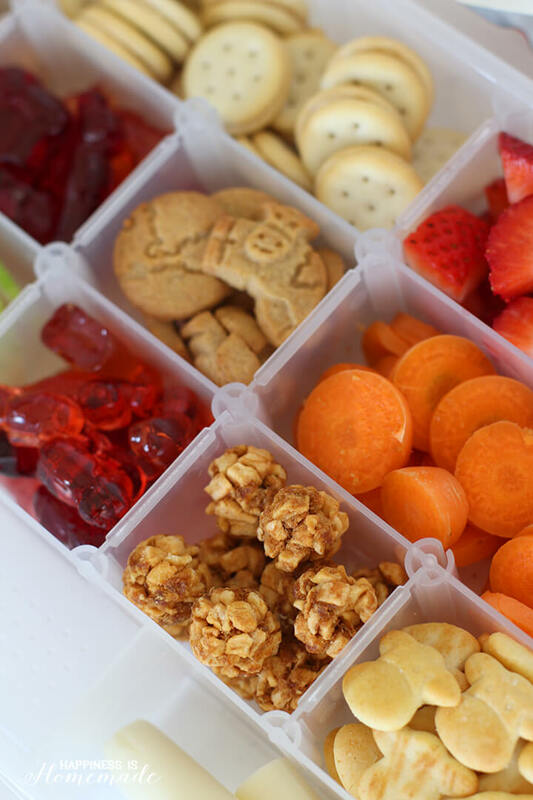 Here’s a closer look at what I packed inside of our snack kits – Horizon Organic Peanut Butter Sandwich Crackers, Apple Clusters, Berry Medley Fruit Snacks, Honey Snack Grahams, Original Snack Crackers and Mozzarella Cheese Sticks along with sliced carrots, cucumbers and strawberries. I also added a Horizon Orange Blast Super Squeeze on the side. 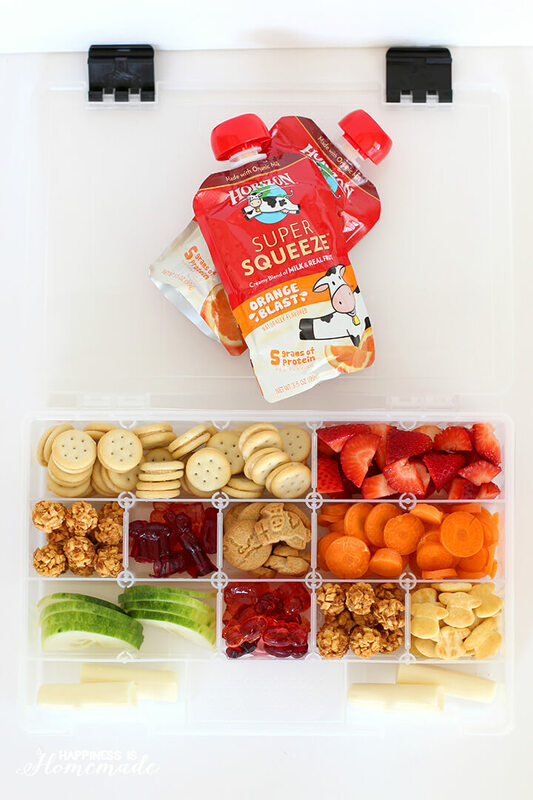 Our divided boxes fit perfectly inside of a small ice chest that we use during road trips, so the fruit and cheese will stay cool all day long. 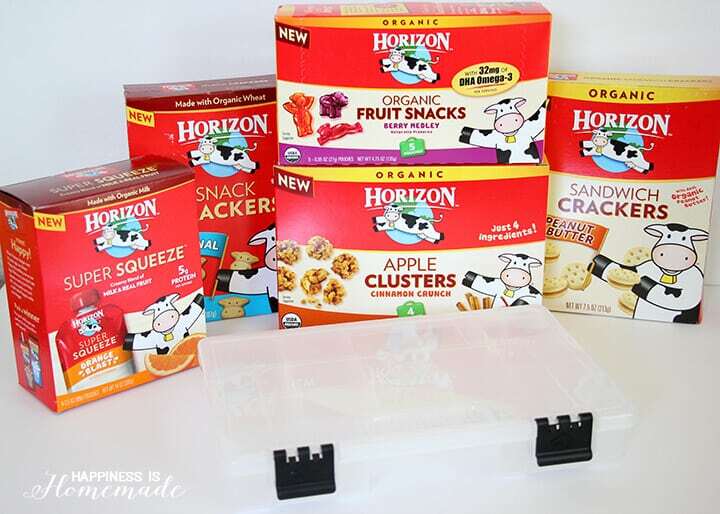 My boys love the new Horizon Organic Apple Clusters, and I can’t seem to stop munching on their Honey Snack Grahams (and Chocolate Snack Grahams…and Cinnamon Snack Grahams! 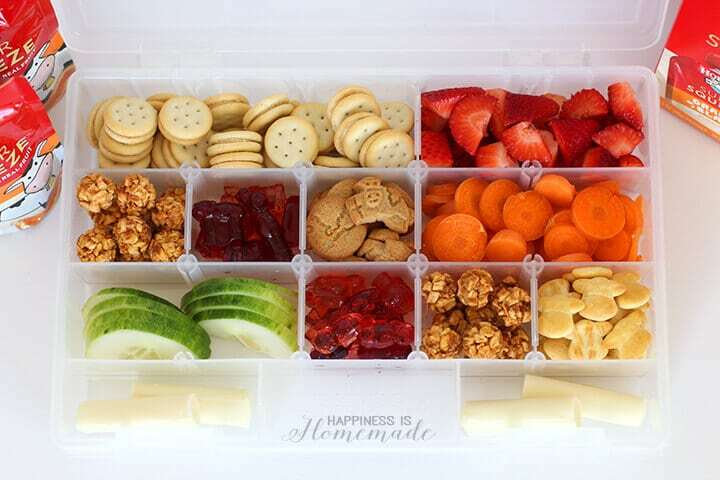 They’re super yummy!). 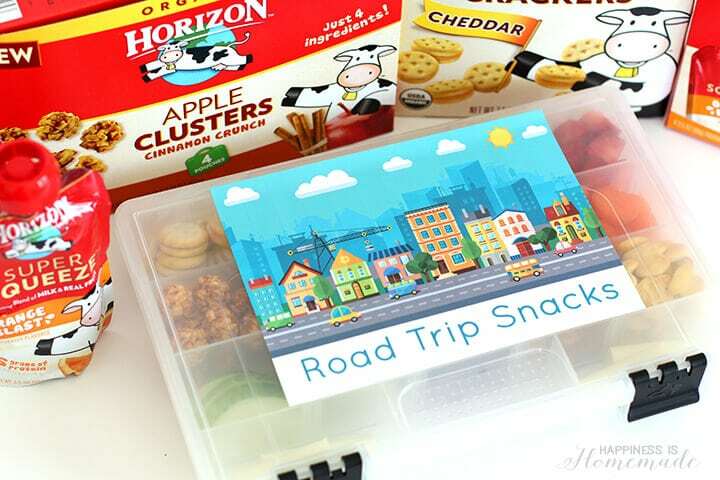 I thought it would be fun to add a cute label to the snack boxes, so I created a “Road Trip Snacks” printable. Now we’re ready to hit the road! 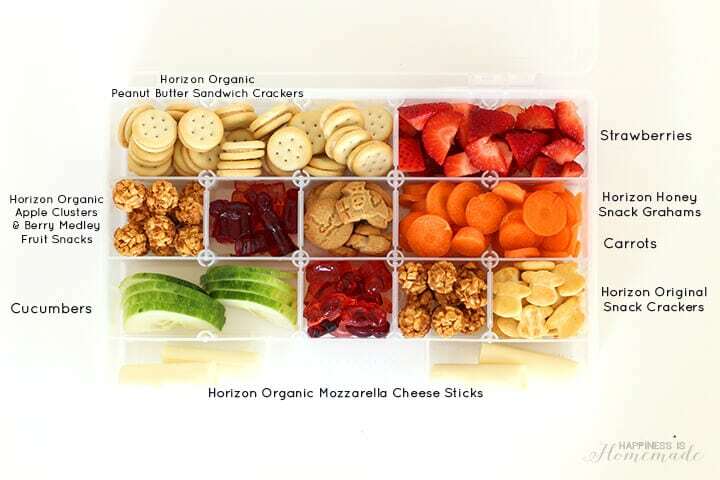 For more information about our favorite Horizon Organic snacks, be sure to follow them on Facebook, Twitter, Pinterest and Instagram! 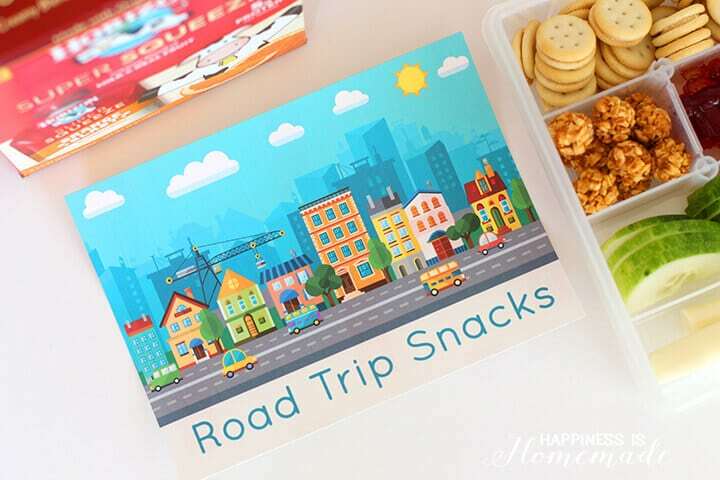 Download + Print the Road Trip Snack Labels!